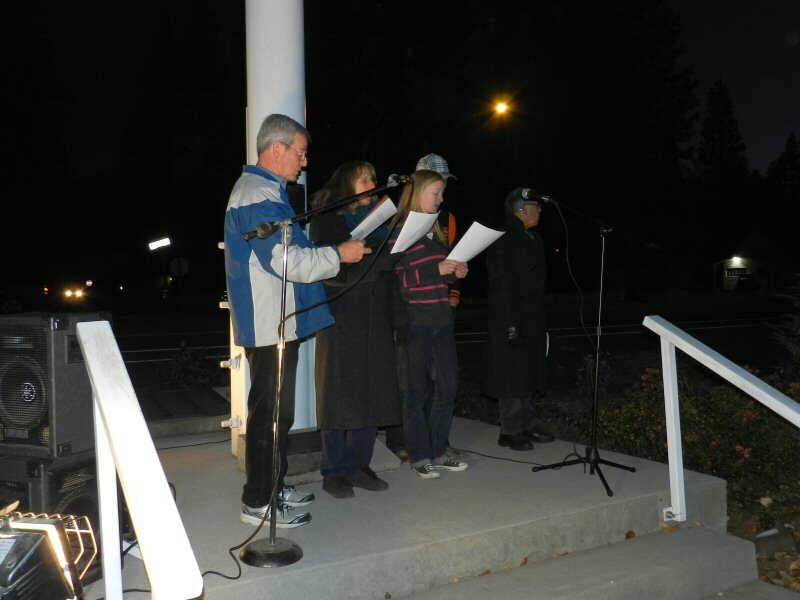 Hundreds of Burney residents came out on the evening of Saturday November 28th for the 2015 Christmas tree lighting ceremony. 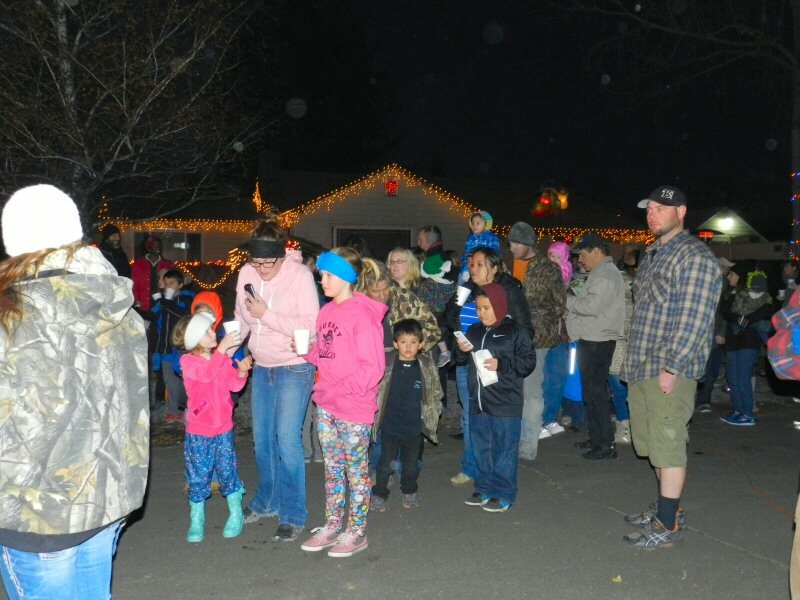 People enjoyed delicious treats prepared by local service clubs, sang Christmas carols, cheered as Christmas Tree Lane lit up, and had a delightful time as their children met Santa. Each child received a goodie bag. The ceremony began at 5:00 p.m. on Christmas Tree Lane with a presentation of the flag by the combined American Legion and VFW Honor Guard consisting of Cuz Lyons, George Matthews, Dennis Lopez, and Martin McAbee. The Honor Guard then led those assembled in the Pledge of Allegiance. As the Honor Guard left there was a moment of silence for those soldiers who have lost their lives. 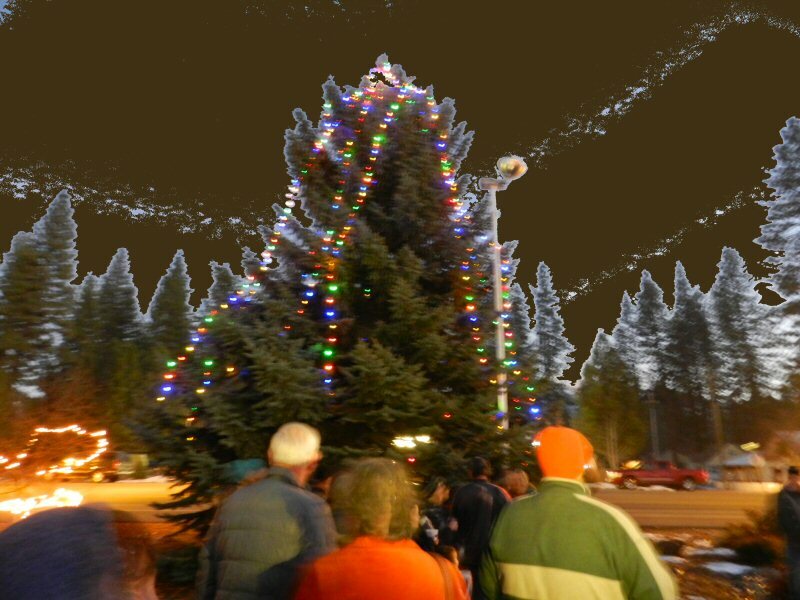 Then the countdown and the trees lit up. 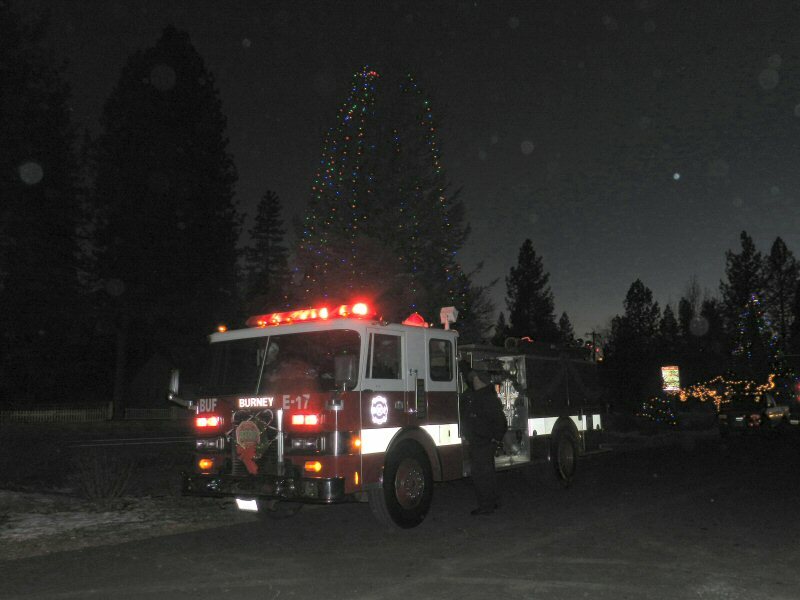 As the crowd sang “Here Comes Santa Clause,” Santa arrived in a fire truck. 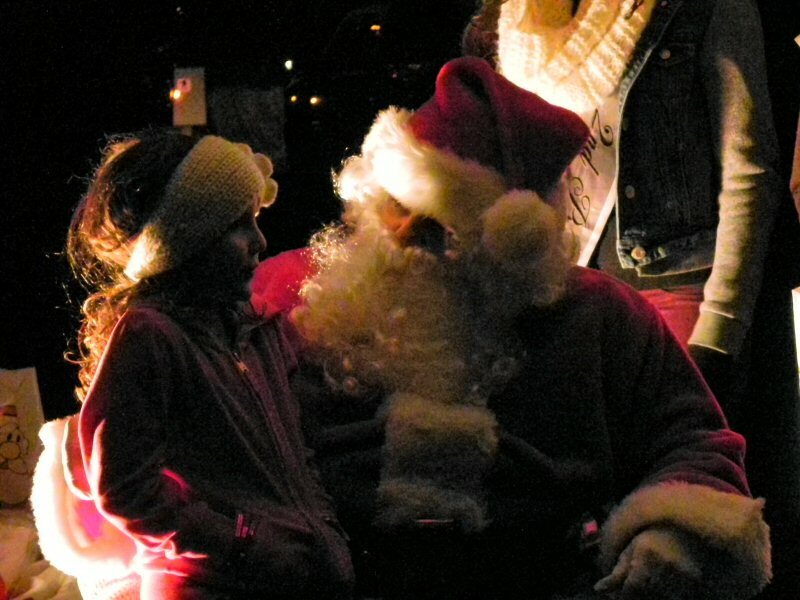 A long line of parents and children waited for a chance for each child to sit in Santa’s lap for a cheery chat. 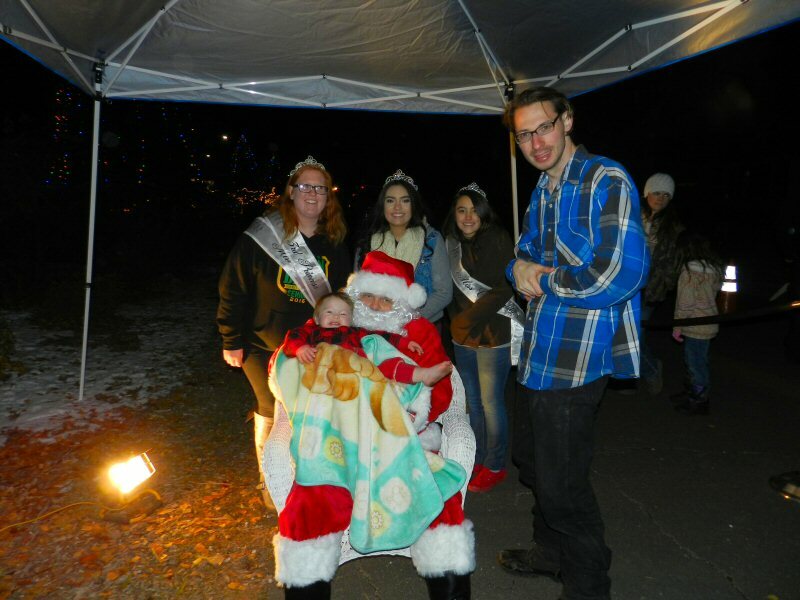 2015 Burney Basin Days Royalty came to help Santa hand out the gift bags. I asked who Santa was (thinking maybe it was Wally Estes or some such fellow). But I was assured by the young ladies of the Royalty that this was indeed The Real Santa from the North Pole! 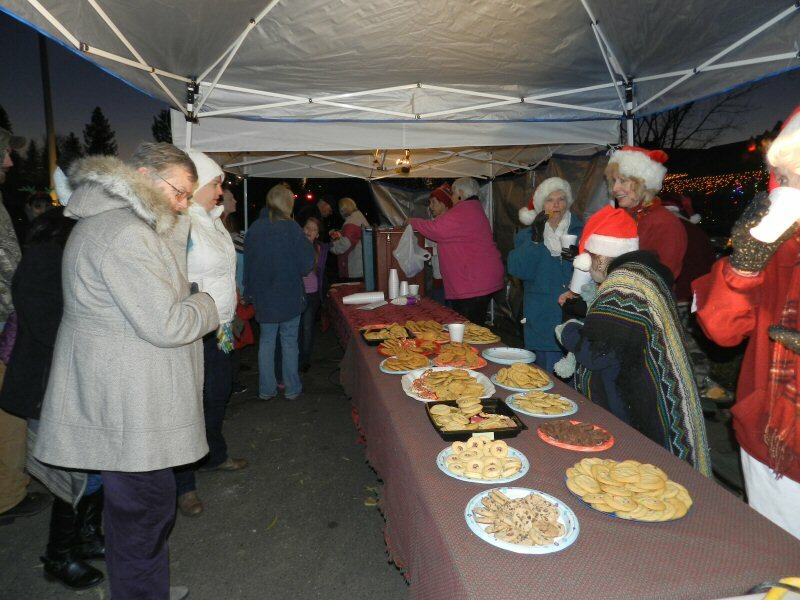 The Lionesses served all kinds of cookies and the Soroptomists served hot apple cider and hot chocolate. 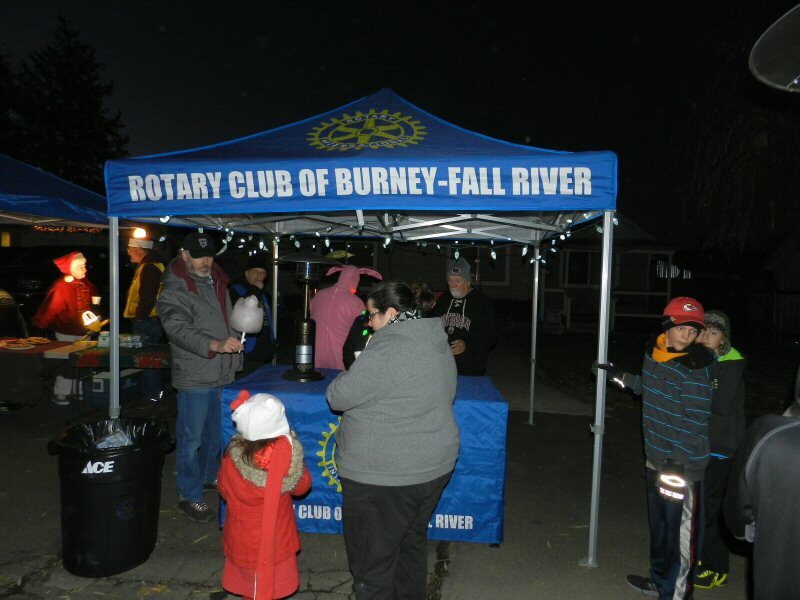 The Rotary provided popcorn and cotton candy. After a wonderful Thanksgiving, this was a great way to begin the Christmas Season. Temperatures were cold, but hearts were warm. God bless us everyone. Happy holidays to all!